he was fired because he used the term “spider monkey” in a conversation that was overheard by an African-American clubhouse attendant. Bosio insisted that the term was not directed at the clubhouse attendant, nor was it said in a racially disparaging fashion. Bosio said the comment was made in reference to Daniel Stumpf, a white pitcher currently on the disabled list. “Someone in our coaches’ room asked me [Monday afternoon] about Stumpf,” Bosio told USA Today. “And I said, “Oh, you mean ‘Spider Monkey.’ That’s his nickname. He’s a skinny little white kid who makes all of these funny faces when he works out. Bosio has indicated that he plans to explore legal action against the Tigers. If he pursues a claim for wrongful termination, he may face an uphill battle. As a coach, Bosio is not a union member, so state and federal law– rather than any collective bargaining agreement– would govern his employment and any legal claims arising therefrom. Since 2013, Michigan is a right-to-work state, meaning that employers like the Tigers generally can terminate their employees for any reason or no reason at all. Of course, it’s possible that team policies (as might be contained in an employee handbook) or Bosio’s employment contract with the team limited the team’s ability to fire him, however. Seemingly looking in that direction, Avila stated that Bosio’s conduct violated both team policy and his contract. Without being able to review the Tigers’ employee handbook or Bosio’s contract, it’s difficult to offer much more in the way of an assessment of how a lawsuit between Bosio and the Tigers might go. What is clear is that, with the team’s record since the Rally Goose graced Comerica Park with its feathery presence having fallen below .500 thanks largely to two consecutive series sweeps, the Tigers have found their new diversion from the quality of their on-field performance. Bosio called the attendant, who is African-American, a “monkey,” according to four team sources. The remark was directed toward the young man, who was collecting towels from the coaches’ room at the time, during a post-game gripe session in which Bosio was lamenting about a pitcher. During this exchange, Bosio made a derogatory comment about one of the Tigers pitchers and then gestured toward the attendant before adding, “like this monkey here,” the sources said. The attendant pushed back at Bosio for the comment, and an additional team employee witnessed the exchange. Bosio was provided an opportunity to apologize to the attendant after his outburst but declined to do so, according to multiple sources. All four sources who spoke to The Athletic disputed Bosio’s account. If Bosio decides to pursue a lawsuit against the Tigers, it will not be his only pending legal action. Bosio has multiple liens and judgments against him and he continues to be embroiled in proceedings with his ex-wife, Suzanne, for whom he filed for divorce in 2012 and was granted a divorce in 2014. Miguel Cabrera was guarded in discussing his health coming into the season after injuries limited him to 130 games and a career-worst 91 wRC+ in 2017. He admitted it was tough to find enjoyment in the game last year, but he expects to be back to having fun in 2018. Ron Gardenhire, the Tigers’ new manager, said that his time outside of the game gave him perspective on the special nature of the opportunity he and his players have to make a living in baseball. While he avoided specifics, it sounds like he has fairly modest expectations for the season. It also looks like he wishes his baseball pants had pockets. Hopeful starting pitcher Daniel Norris reports that he is feeling healthy and, while he wants to compete for a rotation spot, he’s trying not to ramp up too fast in spring training in order to maintain that health. The consensus among surveyed players is that presumptive closer Shane Greene has the worst taste in music, while Jose Iglesias, despite his own strong opinion to the contrary, has the worst singing voice. Nick “Nicholas” Castellanos, who’s moving from third base to right field on a full-time basis in 2018 said that he was not mentally present for much of last season because his father was ill, but, now that his dad is healthy, he will be able to reunite mind and body and is approaching this season with a seize-the-day attitude. New arrival Mike Fiers praised the team’s new pitching coach, Chris Bosio, and says he feels he’s getting back on track under Bosio’s guidance. The two previously worked together during Fiers’ rookie season in 2011, when both were employed in the Milwaukee Brewers organization. Fiers, who spent the first five years of his career in Milwaukee before shifting to Houston for the past three seasons, arguably had his best performances as a Brewer. Alan Trammell, fresh off his election into the baseball hall of fame, is working with players on infield fundamentals. I didn’t think this year’s edition of this feature was as entertaining as it has been in past years, but there are a lot of new faces on this team and a new strategic approach that Tigers fans haven’t seen in some time, and I thought the profile was, on the whole, serviceable. Stay tuned for a more thorough Detroit Tigers 2018 season preview, which will appear soon over at Banished to the Pen. As the Tigers look to the future, one of their most pressing decisions will involve how they part ways with Kinsler, who has been a solid performer and veteran leader since he joined the team in 2014. This week, a few additional details have emerged about Kinsler’s contract that may affect both his future trade value and how the Tigers deploy him in the meantime. Right now, 2017 is the last guaranteed season of Kinsler’s contract. If the season ended today, the Tigers would have the option to keep Kinsler for one more year, in which they would owe him $10 million, or pay him a $5 million buyout and part ways. That “if” comes with a significant caveat, however: should Kinsler make 600 plate appearances this season, the 2018 option would vest, guaranteeing his 2018 contract year. And, if he wins a gold glove award this year, that guaranteed 2018 year would be at an $11 million salary. The Tigers likely aren’t too worried about either of these two things, because a) they almost certainly would exercise their option to keep Kinsler for 2018 and b) $11 million probably is a fair (leaning team-friendly) price for Kinsler on a one-year contract that shouldn’t adversely affect his trade value. Still, I’m interested to watch how the Tigers manage him down the stretch. Unless they move him to designated hitter for the remainder of the season, they probably can’t alter his chances of winning a gold glove (he currently leads all second basemen in UZR), but they can ration his plate appearances. 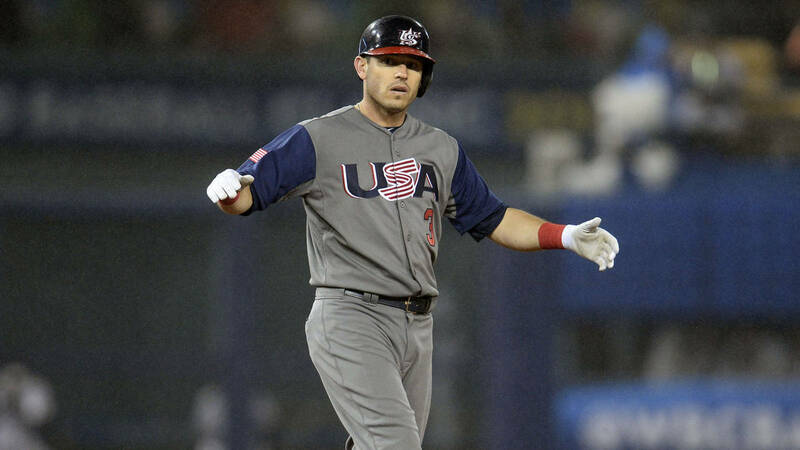 When news of these additional contract details broke on Wednesday, Kinsler had made 522 plate appearances and Detroit had twenty-four games remaining. If he played in every remaining game, he would need to average 3.25 plate appearances per game to hit 600 PA, a reasonable task for a seemingly healthy leadoff hitter. He made four plate appearances that night before being pulled for Andrew Romine on the losing side of a 13-2 game. Assuming he plays in each of the remaining games, Kinsler now needs to average just 3.22 PA/G to make it to 600. This almost certainly is much ado about nothing, but it’s something to watch as this season winds down that isn’t the scoreboard (or the win-loss columns). Last night, I provided my instant reaction to the trade that sent J.D. Martinez to the Diamondbacks for three modest infield prospects. In that post, I considered what many are calling a “very light” return for the slugging outfielder in the context of another star-for-prospects trade made just days ago between the two Chicago teams involving starting pitcher Jose Quintana and suggested that a lesser return for Martinez was appropriate in light of his contract status (expiring), age, injury history, and inconsistent defense. I further suggested that, with multiple transactions still to be made over the next two weeks, it is too early for a referendum on Detroit’s general manager, Al Avila. Avila is a first-year GM, but he worked alongside previous Tigers GM Dave Dombrowski for many years and is an experienced and well-regarded talent evaluator, so the job isn’t exactly new to him. Yet, in some Tigers fan circles right now, Avila is being pilloried as an unqualified, incapable rookie, while Dombrowski has never been remembered more fondly. As I wrote last night, even if this trade becomes a blemish on Avila’s resume (the more thorough analyses of the prospects involved in the trade out this morning paint a more detailed picture but don’t really contradict the experts’ immediate reactions), it’s much too soon to declare him unfit for his current position. In addition to the Quintana trade discussed last night, though, there is another trade we can look to as a rough comparison between Avila and Dombrowski: the 2015 Yoenis Cespedes trade. With the non-waiver trade deadline rapidly approach, on July 31, 2015 Dombrowski traded Cespedes to the New York Mets for two pitching prospects: Luis Cessa and Michael Fulmer. That trade, along with two previous ones that sent David Price to Toronto (for lefty pitching prospects Daniel Norris, Matt Boyd and Jairo Labourt) and Joakim Soria to Pittsburgh (for JaCoby Jones), surprised some Tigers fans, who were not necessarily soothed when Dombrowski described what looked to some like a sudden selloff as a mere “rebooting.” Not insignificantly, these trades immediately cost Dombrowski his job. In isolation, the Cespedes trade– from Detroit’s standpoint– looks fairly similar to yesterday’s Martinez trade. Both players were on expiring contracts and thus guaranteed only to be rentals for the receiving teams (and an unusual clause in Cespedes’ contract actually made it less likely that the Mets would be able to sign him as a free agent, though Cespedes waived that provision and did remain in Queens). In the first half of 2015 (the split most readily available to me as a rough approximation of a snapshot at the trade deadline), Cespedes had a 121 wRC+ (45th among qualified hitters) and contributed 3.3 fWAR in 366 plate appearances. In the first half of 2017, Martinez posted a 156 wRC+ (would have been eighth among qualified hitters had he played enough to qualify) and contributed 1.4 fWAR in 215 plate appearances. Cespedes memorably caught fire at the plate upon moving to New York, but he had been a lesser hitter than Martinez was over the same stretch– both in terms of a direct comparison and relative to his in-season peers– in 2017. Without a more detailed and complex analysis of the different trade markets in the different seasons, it’s difficult to say more about the two players’ relative value in this space. He’s only twenty-five years old, but Mike Trout is the best player in baseball today and one of the best ever. There’s only one of him, though, and he’s under contract with the Angels through 2020, which means that your team can’t have him anytime soon, and, unless your team is the Yankees or Dodgers, it probably can’t afford him once he hits free agency either. If you don’t and won’t ever have Trout himself, your only option is to make like the post-Jordan NBA and find the next Trout. Everybody wants to be like Mike. The Detroit Tigers, for example, really could use a guy like Trout. They haven’t done much this offseason, and they’re in need of a center fielder. Of course, they had a decent center fielder in 2016 in Cameron Maybin, but the team “traded” him to the Angels as soon as the season was over and, surprise, the Angels didn’t send Trout, who also plays center, to the Tigers in return. While the hole in the middle of the outfield currently remains unaddressed (the team’s very recent acquisition of Mikie Mahtook notwithstanding), another anticipated outfield move that Detroit has not yet made is trading right fielder J.D. Martinez, who will be a free agent after this coming season. Martinez has been very good since the Tigers acquired him from Houston, and, assuming he returns to form following his elbow injury last season, he will earn a payday next offseason beyond what the Tigers likely will want to offer. Before Martinez inevitably departs the Motor City, it’s worth taking another look at what exactly the Tigers have in their young right fielder, and, bold as it may seem, asking whether he’s the next Trout. On one hand, the answer obviously is no. Martinez, in his best season, was, by whichever WAR metric you prefer, about half as valuable as Trout was in his best. There also is the matter of age: while we’d expect The Next Trout to be younger than Trout, J.D. is four years older than Mike. On the other hand, anyone who’s followed Martinez’s career knows that he was reborn as a hitter after he left Houston for Detroit, creating a bit of deception in his developmental track (I’m sure he doesn’t spend much time thinking about those first three MLB seasons), even if the aging clock ticks on. Imagining, for purposes of this strained and fabricated narrative, that this “young” Martinez was coming up behind the more experienced Trout, we might also notice that the two outfielders have similar batting profiles. Everyone knows Trout and Martinez are power-hitting outfielders, but I still was surprised to see how close Martinez was to Trout on this graph. Martinez’s overall value suffers because he plays an easier position than Trout, and, although his defense showed marked improvement in 2015 (before the improvements evaporated in his broken-elbow season last year), plays it less well than Trout plays his. Still, if I’m Martinez’s agent, a chart showing that my client hits– in terms of exit velocity and extra bases– just like Trout is going to be on page one of the Boras Binder I’m distributing this offseason. And if I’m Tigers GM Al Avila, I’ll make sure every potential trade partner this summer catches a glimpse of it too. Sure, some still want Detroit to make another all-in push in 2017, but the proverbial contention window is hanging as heavy and tenuously in its frame as it ever has for this crew, and it’s tough to imagine a world in which they can retain Martinez. In five years, after seeing him mash in pinstripes or Dodger blue, Tigers fans may look back and see Martinez’s delayed, Trout-esque offensive prime as one of the largest costs of their now-overleveraged roster.